The ancient capital of Japan, Kyoto, could be the birthplace of the world of electric vehicles for the future. Kyocera Corp has been working with local companies to produce electric cars that can be referred to entirely as products originating from Kyoto. 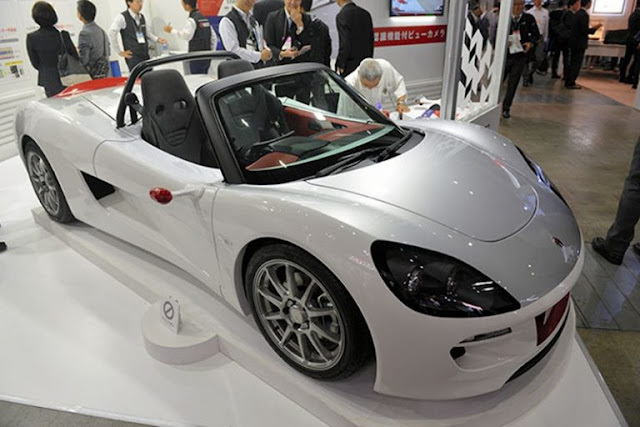 A sports Tommykaira ZZ white sports car is featured on a stand established by Kyocera (maker of electronic components based in Kyoto) during the Automotive Engineering Exhibition held in Yokohama in May. With a maximum speed of 180 kph, the concept of an electric car built by GLM Co., originating from Kyoto University, can accelerate from 0 to 100 kph in just 3.9 seconds. Kyocera provides its technology in 12 categories, including in the electronic rearview mirror and LCD speedometer. Kyocera has manufactured automobile components, such as heaters and sensors, they are also involved in the process of designing the car. The concept car is also adorned with products from other Kyoto-based manufacturers, such as GS Yuasa Corp's lithium-ion batteries, Omron Power's power relays that serve as power switches for batteries, and Nichicon Corp. is responsible for voltage converters. GLM sells its Tommykaira ZZ in 2014 in limited quantities of only 99 units. Apart from GLM partners, a number of Kyoto-based electronic component makers also want to market electric vehicles such as electric cars that are expected to become one of the most popular vehicles. Murata Manufacturing Co. plans to invest 100 billion yen in setting up a system to increase the output of components widely used in cars. Rohm Co. also offers energy-efficient semiconductors for use in cars. Nidec Corp has plans to invest 200 billion yen over the next three years to build a factory for electric motor vehicles. He expects to earn up to 1 trillion yen in the automotive sector alone by 2020.